What a crazy year 2016 was! For me and mine it was a great year with big changes: we bought a house, had a baby, Goose is rocking preschool, and Handsomepants made some improvements in his office and therefore his career. I'll never understand accounting , but I'm glad he enjoys it. Despite some little hick ups like a miserable drive to Wisconsin for the holidays (Wisconsin was great, the drive was not) and M breaking a finger the day after Christmas, this last year was awesome Like everyone in the world I've made some New Years resolutions, and I hope to actually follow through with them. The first is consistent writing. Writing a blog post takes way more preparation and work than I had anticipated when I first started this blog. But knowing that I have 1 or 2 readers (Hi Mom!) gives me a sense of accountability to someone other than myself. It doesn't allow me to get lazy. All the other resolutions don't have the same level of accountability so I've come up with an action plan for actually following through with them. Since we moved, Handsomepants asked if I could keep my quilting contained, instead of spread all throughout the house. I laid claim to the entire closet under the basement stairs to store all of my quilting stuff. All of my things have been unpacked but haven't been organized. When we moved I took an extensive inventory of all of my quilting supplies, and we somehow ended up with an extra dresser so I'm planning on using that for fabric storage. With such a chore, I'm determined to get it right the first time and to do so I'm going to designate an entire weekend to organizing the closet. I've never done a quilt-a-long before but they always look so fun. The first one I've decided to join the Quilter's Planner QAL hosted by Angie at Gnomeangle. It's a 52 week QAL with a block a week. I'm afraid I'm cheating a bit on this QAL since I've decided not to buy the Quilter's Planner, but with a tight budget this year it's a bit out of the question. That does disqualify me from prizes, but not from participation. I like the idea of being part of a community, both in the blogsphere and on Instagram, where you post the weekly blocks in the QAL. I haven't decided which other quilt-a-longs I want to take part in, but I'll keep you posted on those when they come up. This is something that's actually on my Dream Quilt List. Hand quilting is something that can seem arduous and in a world of instant gratification and the vast variety of amazing sewing machines, quilting and piecing can be done in a flash. It's easy to prefer faster methods of quilting, especially when you're excited to use all the yummy fabrics you bought the week before or when you have a deadline for birthdays, graduations, and baby showers. Hand sewn quilts aren't very common any more and I love the look and feel of them. To help with my first resolution of consistent blogging, I think this is a project I'll keep you updated on throughout the year. I have to admit that binding a quilt is not my favorite part of the creative process. Neither is quilting if I'm going to be completely honest, but it's an absolute thrill to piece the tops of quilts. I think that's probably why I have so many WIP's on my to-do list. I get distracted or bored as soon as I baste a quilt. Since I have so many WIP's I'm going to concentrate on using the binding foot for my sewing machine to perfectly bind the half-made quilts waiting for me. I know that some of the WIP's are only unfinished because I gave up on the binding. So this year I resolve to practice and perfect my least favorite aspect of quilt making. I'm not particularly excited about the binding resolution I've committed to, but it will improve my quilting skills. I think that's what New Year's resolutions are all about, improving yourself. It only makes sense that I should try to improve my skills so that my quilts aren't sub-par since I give almost every quilt away as a gift. I want every stitch to be perfectly placed so that the recipients of my quilts know how much time and thought I put into a gift for them. What are your New Year's resolutions? Do you have skills you want to improve or projects you want to finish? Leave a comment and let me know! The housing market here in Denver is INSANE! Seriously, it's insane. Handsomepants and I started house shopping in February, viewed probably over 70 properties, bid on 12 houses, each bid higher in price and smaller in square feet. We finally, finally moved into our cute little town house in August. We're officially adults now, bloated mortgage and everything! But when our realtor called us with the good news that our last offer had been accepted and we signed away our lives by going under contract, it slowly set in that we had to move all of our stuff. And between two kids and my quilting, we have a lot of stuff. If you're in a similar situation, or you're looking to just organize your quilty craziness, here's how I did it. If you're serious about packing or reorganizing, I suggest you set aside an entire day (or weekend if you're like me) to focus on the task at hand. My life revolves around to-lists, so I started by writing down every thing quilty, from rulers to WIPs. I could organize on paper the things that would pack well together. Then I started packing the things that would take the most time first. I started with my scrap stash. I didn't organize my scraps into perfect sizes, I've seen other quilters who cut their scraps into squares or rectangles and arrange according to size, but I simply don't have the will power to follow through with that level of organization. However I did divide up my scraps into small, medium, and large piles. Each pile went into a freezer bag and I then squeezed out all of the air so the bags would pack as flat as possible. Next I organized the rest of my fabric. I limited myself to two boxes and my Tupperware towers to move fabric. I then went through every single fabric I had and made four piles: Love It, Like It, Maybe, and Gone. The Love It and Like It piles where immediately packed, and then I went through the Maybe pile again where fabrics where either packed or went into the Gone pile. Eventually, if I still had fabric but no room in my boxes or towers, into the Gone pile. Then all of my fat quarters were arranged by color and packed. Yards of fabric where folded into a consistent size and packed. All of my WIPs where folded and packed into a vacuum bag (size XL, ahem). Books and papers and the "office supplies" of quilting where packed together. I took this time to go through and purge any items I hadn't used in a long time. There where a couple of pattern books I had never used and now I wonder why I bought them in the first place. I replaced the blades on my rotary cutters and tossed thread I had been given that was really, really, really old. Those strips of batting I kept telling myself I was going to reuse some day, gone. Scraps of fabric smaller than an inch, and in my heart of hearts I knew I wouldn't use, gone. The fabric my aunt gave me that was so old it audibly crackled when I unfolded it, gone, gone, gone. That't not to say I depleted my fabric stash, I still have tons. And there are plenty of reasons to hold onto ugly or unwanted fabric. But I was focused on whether or not I would actually use certain materials, and if not, they went into my Gone pile. The thread I tossed was too old to work in my machine. 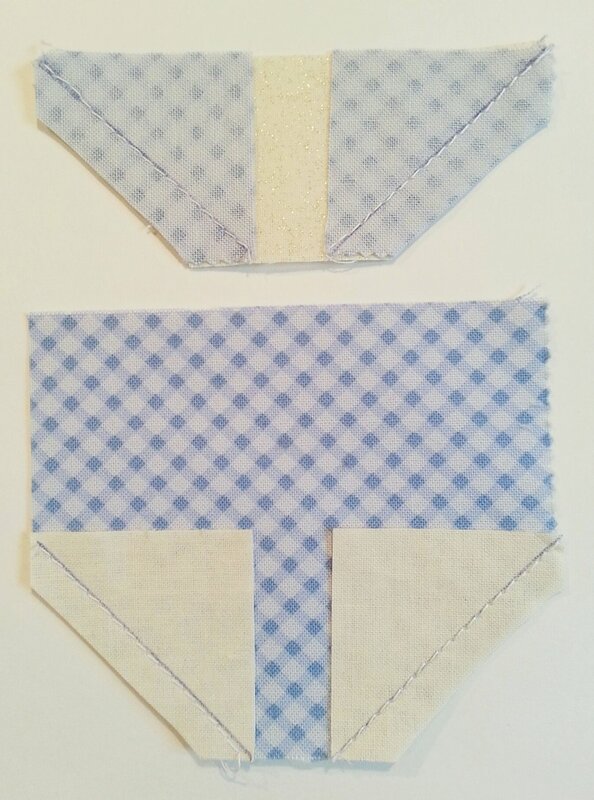 Some scraps and batting where small and while I like making mini quilts, but not that mini. Some of the fabric was just downright ugly, some was just not to my taste and I didn't have a plan for it. If you're looking into organizing your quilty stuff, seriously consider downsizing. I know that's antithetical to building your stash, but it's actually quite liberating. I was able to reassess and reevaluate what materials I had, what I needed, and I now I don't feel guilty for bypassing unused materials that would have otherwise sat in my stash for years. Some of my stuff went strait into the garbage, but what ended up in my Gone Pile I was able to donate to a local church group. I highly recommend donating any of your unwanted materials, it saves you from feeling guilty about getting rid of yards of fabric and that material can help others. Children's museums, Quilts of Valor, Project Linus, retirement communities, and local quilt guilds all use fabric and materials for projects and charity work. Check out your local region to see if there are drop off stations. If you're like me and moving, you probably have your new quilting space imagined before you even know how your living room is going to be laid out. Planning out your new quilting space might seem a no-brainer but it is important. Where is your machine going? Where is your ironing board going? Can you press right next to your sewing machine or are you going to have to walk over to your board? What is the lighting like? Is there enough of it? Do you have quality lighting or is it tinted so that the colors of your fabrics are off? Where are the outlets, do you need a power strip? During our move my quilting desk broke, which was kind of nice because it meant I got to upgrade. Handsomepants and I are sharing the spare bedroom in the basement, I get the left side for my quilting, he gets the right side for his gaming and music. We both need our hobbies to be somewhat compactable because that's also the room for family to stay in when they visit. Enter my new NORDEN gateleg table from Ikea. This table is awesome! When both wings are open it actually gives me more work room than my old table. When it's folded up the table slides into a corner and is still large enough so that my sewing machine fits on top. My only complaint about the table is how heavy it is. That's a good thing when the table is used in the kitchen, but it's a bit difficult to move on my my carpet. I'm thinking about adding wheels to the legs so that it will roll out. My next big To Do is organize my quilting closet, but that's a project in itself! Want to start quilting, but aren't sure what to do, what to use, or where to begin? Well fret no more because I'm here to help you get started. Today I'll introduce you to some of the basic tools and concepts that you'll need in order to let your creativity run wild. The first step to quilting is deciding how you are going sew. Will it be with a sewing machine or by hand? The majority of the quilting I do is by machine, but lately I have been doing more personal projects by hand. Both methods have their advantages and disadvantages so here's a quick run down to help you decide. Speed - sewing machines are much faster than hand sewing, but poor planning can lead to mistakes. 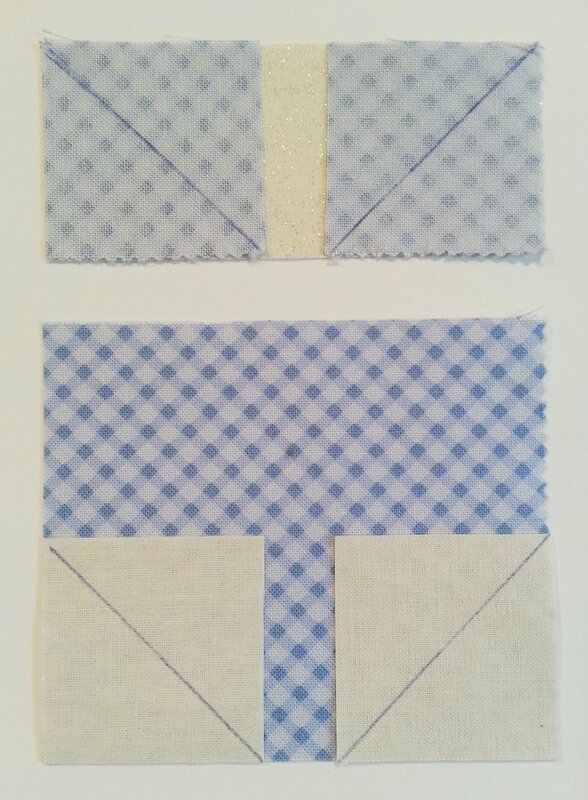 Even stitches - regular sewing helps to prevent the concentration of tension and stress on the fabric and helps to ensure the longevity of your quilt. Time - sewing by hand takes longer than sewing with a machine and that can be a pro or a con depending on the quilter and the situation. Hand sewing can be quite therapeutic and a great way to spend and evening, but I would not recommend it if you need a project finished in less than a week. Tradition - in the past most quilt were made entirely by hand and sometimes took years to finish. Hand stitching will give your quilt the look and feel of an old quilt. Knowing which sewing method you're going to use will help to determine the other steps you're going to take in preparation of starting your quilt. So once you've made your choice, move on down to Step 2. There are some very basic tools available that will make your quilting experience so much easier and therefore more enjoyable. Not all the tools listed are technically necessary for quilting, but I highly recommend that you invest into them. These tools are designed to make quilting faster, more accurate, and easy. I've listed which tools I use more for hand or machine quilting so you have a better idea of what you might need depending on your sewing method. A. Quilting Ruler: these are absolutely essential if you want to cut your fabric in a constant and precise manner. The grid and angle lines on the rulers make it easy to cut 30, 45, 60, and 90 angles. B. Rotary Cutter: these are used with quilting rulers and make cutting lots of fabric fast and easy. Line up the rule on the fabric, place the cutter alongside the ruler and roll. It's as simple as that (sometimes). Remember to double check your measuring first and be careful, these cutters are sharp! 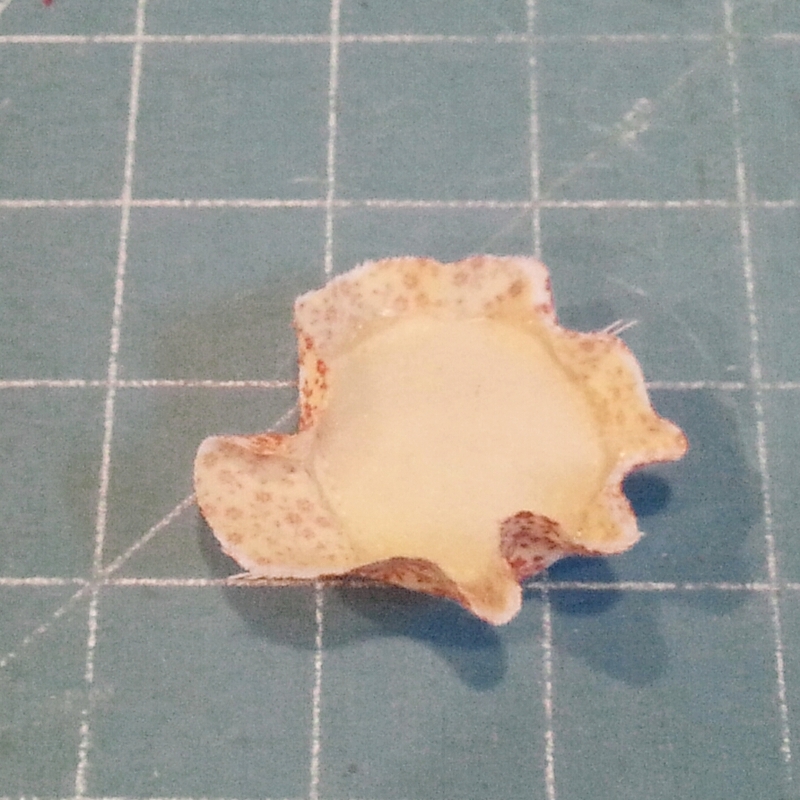 C. Pins: Pins are nice to use to hold fabric in place while sewing. They're not necessary but they are nice to use when lining up seams. Some people like to use clothes pins or specially made fabric clips instead of strait pins to avoid being poked. D. Sewing Machine Needle: If you choose to sew on a machine make sure you have the right kind of needle for the job. Consult your machine's user manual to double check recommended brands and sizes. Using the wrong needle on the wrong fabric can cause ripping, tension problems, and threading problems. E. Hand Needle: Needle called Sharps are often most used for hand quilting. They are shorter than other kinds of needs, making them more durable when working with multiple layers of fabric. F. Bobbin: When machine sewing make sure that your bobbin is full and the proper size for your machine. The user manual will tell you which size is needed and how to thread your bobbin properly. G. Thread: Make sure that the thread you choose is the same material as the fabric you've chosen. Don't use acrylic thread on cotton fabric, that can cause the fabric to bunch, slip, or cause stitches to break. Here's a great breakdown by Craftsy of the weights of quilting thread. H. Scissors: A good pair of scissors is crucial to sewing of any kind and are worth the investment if you plan on quilting for a long time. Remember to use your scissors on thread and fabric only. Any other materials could damage the scissor blades, meaning the next time you cut fabric you will not make a clean cut. I'm not joking, scissors are serious business. 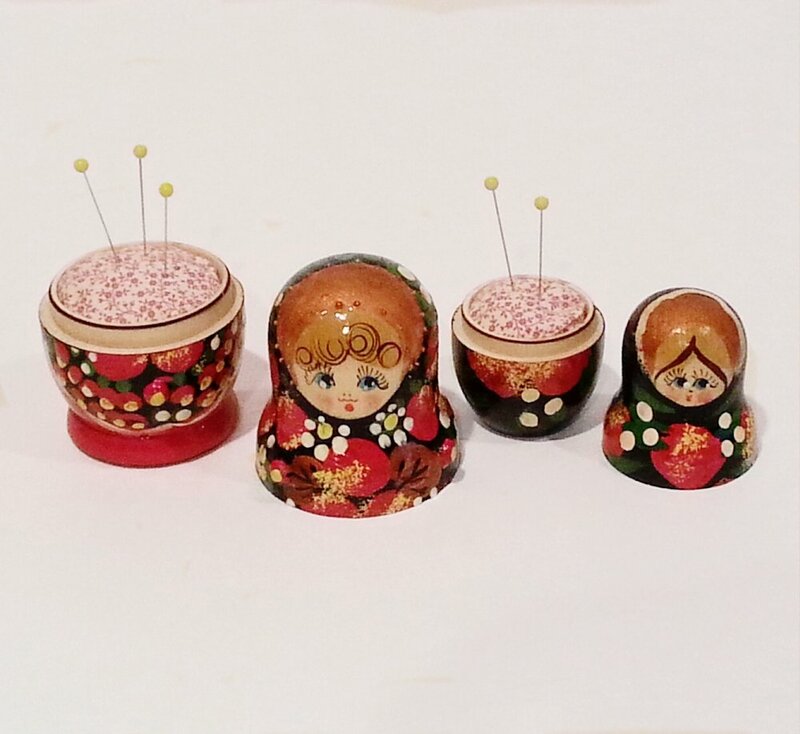 I. Thimble: While a thimble might not technically be essential for hand sewing, they are so nice to have instead of torturing your poor fingers to press a needle through a tricky bit of fabric. If you find metal thimbles uncomfortable there are other option available including open ended thimbles for those with long finger nails, and leather thimbles that are just as durable but less rigid. Like I said earlier, not all of these tools are necessary, I would have to say that only a needle, thread and scissors are absolute necessities. Those are the three tools that I keep in my travel sewing kit, but a rotary cutter and ruler are priceless tools for accurate and expedient cutting. Fabric choice can make or break your project in a variety of ways. Choosing the wrong type of fabric can lead to shrinking, pulling, puckering, and general ugliness. Choosing the wrong prints can cause the patterns of blocks to be drowned in similar colors and too tight or too loose prints. My advice is to select 100% cotton fabrics because they have a nice, tight weave and are easy to work with. The majority of quilting fabric is cotton, so you should have no difficulty finding it. A variety of fabrics on a project is also a nice touch. Mixing and matching prints can add polish and thought to a quilt. A solid, a print, and a pattern are a good start. Also keep color values in mind with a dark, medium, and light colored fabric. I'm not saying that print choices and color values are nonnegotiable, but they are some basic principles to remember. The quilt pattern that you've chosen will also be an influencing factor on your fabric choices. One last thing when it comes to fabric treatment before you start quilting: pre-washing and pressing. Pre-washing is something that I recommend. 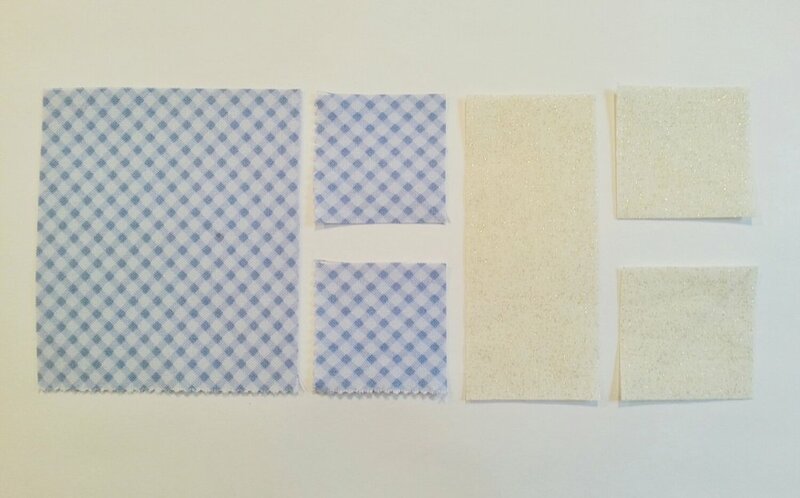 It removes excess dye from the fabrics that would have other wise stained lighter colored fabrics on your quilt, and it allows the fabric to shrink a bit which prevents shrinking and pulling once your quilt is finished. Some quilters don't bother with pre-washing at all while other swear by it. If you're itching to get started on your project pre-washing might not be an imperative, but I would recommend it for any fabrics you have that are dark, such as blacks, blues, purples, or reds. Once your fabric is pre-washed (or not) press your fabric so that there are no seam marks or wrinkles. 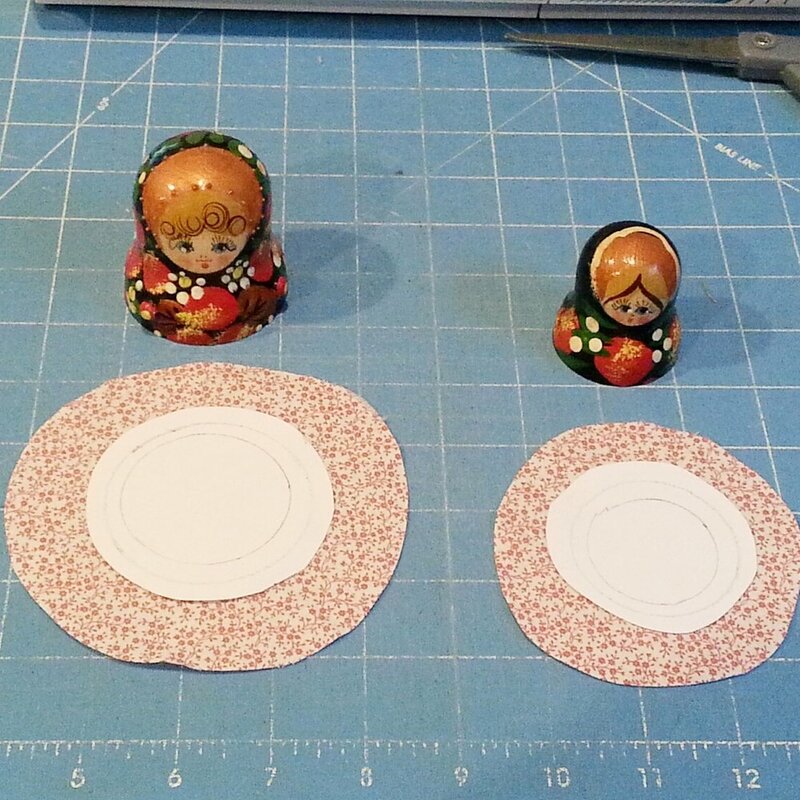 This will help with more precise measurements during the squaring and cutting phases of quilting. Not sure about the difference between pressing and ironing? Check out my glossary page for more clarification! Now the fun begins! 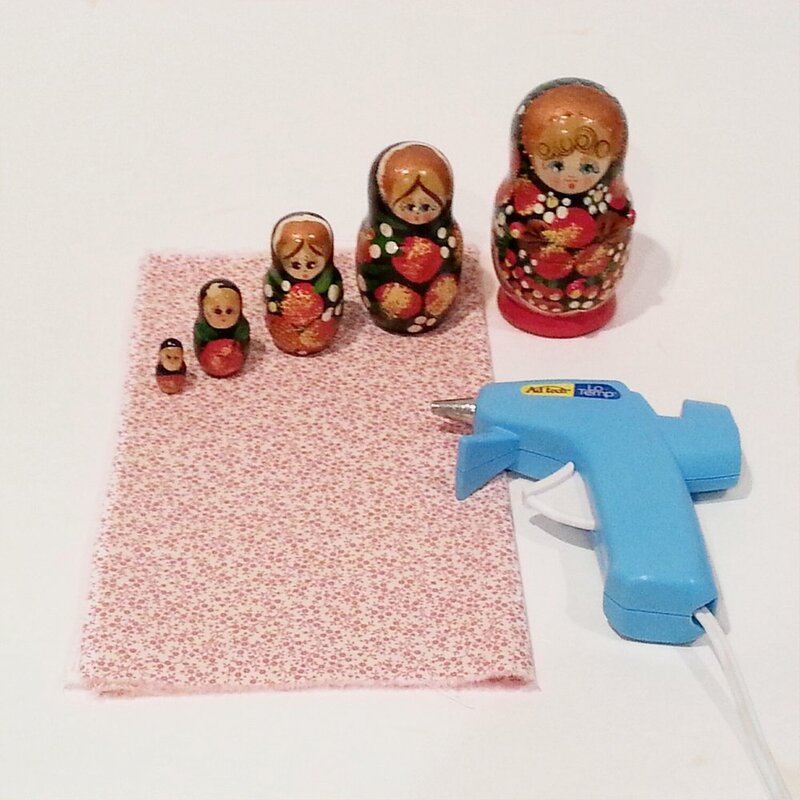 Once all of your fabrics are prepped and tools assembled, get to it! Follow the directions and requirements for the quilt you have in mind, or start sewing and see where that gets you. If you're not sure about where to begin that's totally fine! You can start practicing your quilting skills by following any of the directions for the Simple Sampler Quilt, where I post a new quilt block every Wednesday.